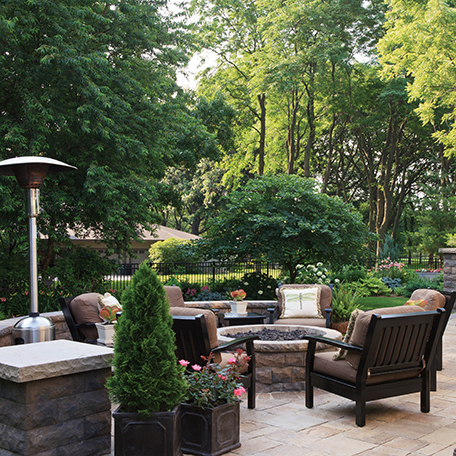 (Family Features) Over time, the appearance and function of any outdoor space can dull due to combinations of heat, precipitation, and use. With some careful attention, you can quickly spruce up your outdoor living areas and get them back in great working order for patio season. Outdoor textiles often take a beating from the elements. Freshen up often-overlooked things like outdoor rugs, lawn furniture cushions, pillows, and umbrellas. A thorough vacuuming may be adequate to remove leaves, bugs or dirt. However, if stubborn spots persist and a deeper cleaning is needed, review the manufacturer’s guidelines. Washing covered furniture from time to time helps ensure it’s ready for use no matter the season. From furniture to hard surfaces, the finishes can take a beating. Take time to bring these items back to their former glory by rinsing, scrubbing and brushing the dirt away from your wrought iron, metal, aluminum or wicker furniture. If needed, apply a fresh coat of sealant or add a rust-preventive layer of new paint. The same applies to other surfaces with finishes that may be chipped and dull. A careful sweeping with a sturdy broom is a good starting point, but to get your outdoor space truly clean you may need a little more power. When used at the appropriate settings, a pressure washer can clean a wide range of surfaces from patios, decks, and sidewalks to siding, windows, screens and tables. 7. Before storing, relieve the pressure in the system. Also, run a cycle of water through the machine to eliminate any detergent residue and give the unit time to cool down before storing.